Drivers looking to combine performance and luxury will look no further than the new 2019 Land Rover Discovery! The fifth-generation Discovery is a seven-seat SUV that is fitted with a host of high-tech new features, an expanded list of advanced safety technology and more standard features than ever before! 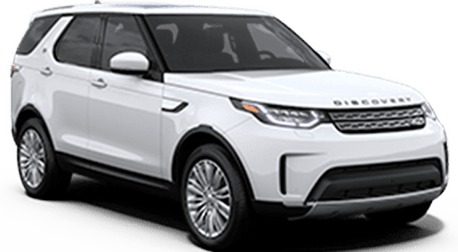 The new 2019 Land Rover Discovery is available in three trim levels (SE, HSE and HSE Luxury) with the choice between a 3.0-liter turbocharged V6 gasoline engine (340-hp, 332 lb-ft. torque) and a 3.0-liter turbocharged V6 diesel engine (254-hp, 443 lb.-ft. torque). When properly equipped, the new Discovery boasts a top speed of 130 miles per hour and a towing capacity of 8,201 pounds. Keep reading to learn more about each of the available trim levels of the new 2019 Land Rover Discovery in San Jose, CA! The base model Land Rover Discovery SE adds a number of new features as standard equipment for the 2019 model year, including Reverse Traffic Detection, Lane Keep Assist, a Powered Inner Tailgate, LED headlights with Signature Daytime Running Lights and more. Other features of the Discovery SE include a 10-inch Touch Pro infotainment system, 19-inch alloy wheels and more. Land Rover Discovery HSE models include 20-inch alloy wheels, a 10-speaker Meridian Sound System (380-watt), LED lighting, wood veneer interior accents and finish, Blind Spot Assist, three-zone climate control, 12-way grained leather seats and so much more. The top-of-the-line Discovery HSE Luxury includes upgraded 20-inch alloy wheels, Touch™ Pro Navigation, 16-way Windsor leather memory seats, a 14-speaker Meridian Surround Sound System (825-watt), configurable ambient interior lighting, chrome accents and so much more! 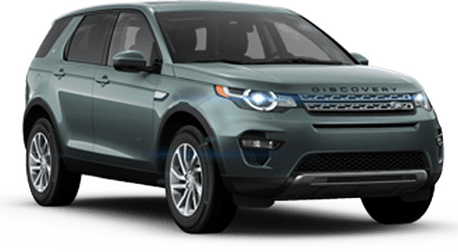 The 2019 Land Rover Discovery features a starting MSRP of just $52,300!